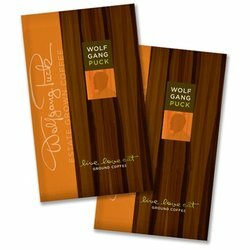 Wolfgang Puck Office Coffee Variety and Sample Pack. Mix and Match the Flavors to Create Your Own Variety! Each Package contains 2 oz of Wolfgang Puck Coffee, packaged for coffee service.